Award-winning author Patricia Polacco, traveled from her home in Union City, Michigan to Connecticut. 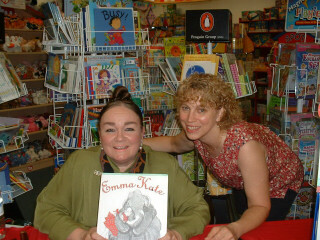 Patricia Polacco’s book, Emma Kate is a tribute to her imaginary childhood friend. Her beautiful illustrations and surprise ending make this an enchanting story.